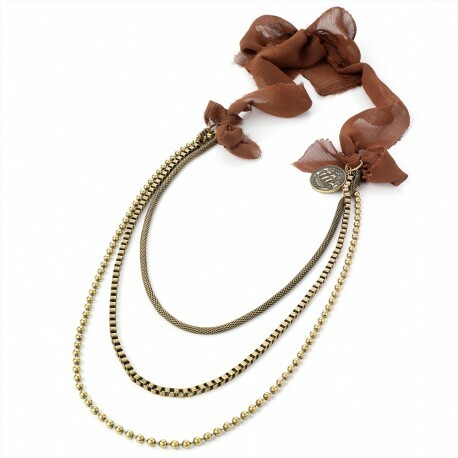 A long brown ribbon necklace decorated with three rows of antique gold chains in different styles. The decoration is completed by an imitation old fashioned half penny coin. Length: 93 cm (36.6 inches).